For the T.V there is now TiVo or other DVRs that allow you to skip through the commercials. On YouTube most ads can be clicked away within a few seconds. And with the overwhelming amount of content on the internet most ads can be avoided or ignored. So what does this mean for an advertiser? Advertising is out and Engaging is in. The advertiser no longer choose what the viewer sees, instead the viewer chooses what they watch. This means traditional advertising does not work as well as in the past. Customers don´t want to see blatant marketing; it is seen as spam or tacky. To adapt to this new internet dominated world, marketers must create quality content that engages the user instead of advertises to them. Advertising traditionally benefits the advertiser, while engaging material benefits the customer. This means you must offer your customer something of value to them. This could be anything they want from knowledge to humor to shock value. Engaging content is more likely to attract return visitors. Customers are also more likely to go to your site for information or entertainment as well as your product. Most importantly, by producing engaging content you will build trust with the customer. Start by searching for what the customers are looking for. This research could involve anything from surveys to trial and error. Find things that relate to your product, such as recipes if you are a cooking appliance site or beauty tips if you are a cosmetic company, to post about. You could consider writing a blog or doing a video series. It is okay to talk about your product some of the time, but not all of the time for it will be seen as blatant advertisement and thus be discredited. Although blatant advertisement is bad you should still brand your videos in some way. In mid March, 2014 a video called ¨First Kiss¨ went viral. This video tells the story of 20 strangers meeting and then kissing for the first time. Even though it now has over 82 million views on YouTube, few have heard of the clothing company Wren. The LA based fashion brand, Wren did in fact sponsor this video and even had all of the kissers wearing their spring collection. Their mistake was their lack of branding. The company´s name is stated for a brief 2 seconds at the beginning and 2 seconds at the end in a list of names in the credits. By simple adding their company logo to the side of the video or introducing themselves a bit more at the end or beginning of the video, Wren´s video would have been a marketing hit. Instead, it was a viral hit, but did not give the company the marketing boost it was expecting and deserved. 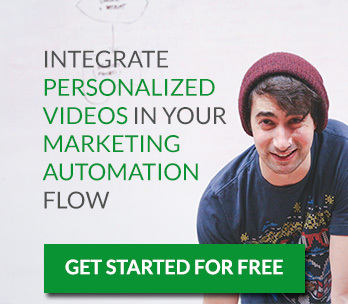 If you post many videos or even just a few and want to make sure they are always branded, Sezion can help with that. Our automated video editing services can add an intro or brand logo to any video in a fast, simple, and scalable way. Uncategorized advertising, branding, branding videos, customer acquisition, customer engagement, dont advertise, engage, Engagement rate, engaging, engaging content, first kiss, wren. permalink.